Born in Burma, Pa migrated to the United States at the age of nine. As a small child, Pa lived in the refugee village of Mae La, and connected deeply with the natural environment under the guidance of Buddhist monks. Since arriving to the U.S., Pa has work to defend his new community from the harms of pollution. 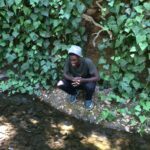 Pa interned with the New Voices Are Rising 2015 and 2016 Summer Climate Justice Youth Leadership Academy, and joined his fellow interns in opposing plans to export coal through Oakland’s waterfront. For Pa, the most important issues faced today is the high rates of asthma present in children living in West Oakland and other low income communities. 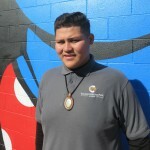 He is now a senior at Oakland/Emiliano Zapata Street Academy, where he is helping lead a tree-planting project and inspiring his classmates to create an urban forest to improve air quality. 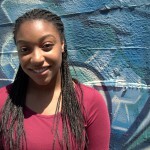 Kierra is new to the field of environmental and social justice work, but very passionate. A senior at Leadership Public Schools, she was part of The New Voices Are Rising Summer Climate Justice Leadership Academy this summer. 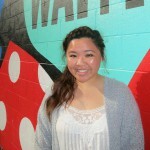 She always wanted to learn about issues that affect her community and the world around her. She believes the ability to learn about such important issues will allow her to help fix them. With her new love for environmental and social justice work, she has joined Rose Foundation during the fall and plans to return in the summer. 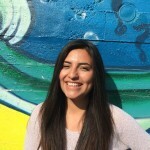 Jennifer Escobedo is a Bay Area native and a graduate of the 2016 Summer Climate Justice Leadership Academy. She is attending college at Wesleyan University and is majoring in Environmental Studies. As a resident of East Oakland, she was always concerned with the health of her community, and that is what attracted her to the Rose Foundation. Throughout her fellowship, she focused on air quality and air pollution in Oakland and the Bay Area. Nate Henderson was born and raised in Michigan and has always been enchanted by nature. With his appreciation of the Great Lakes, he has always been interested in the environment and environmental justice. 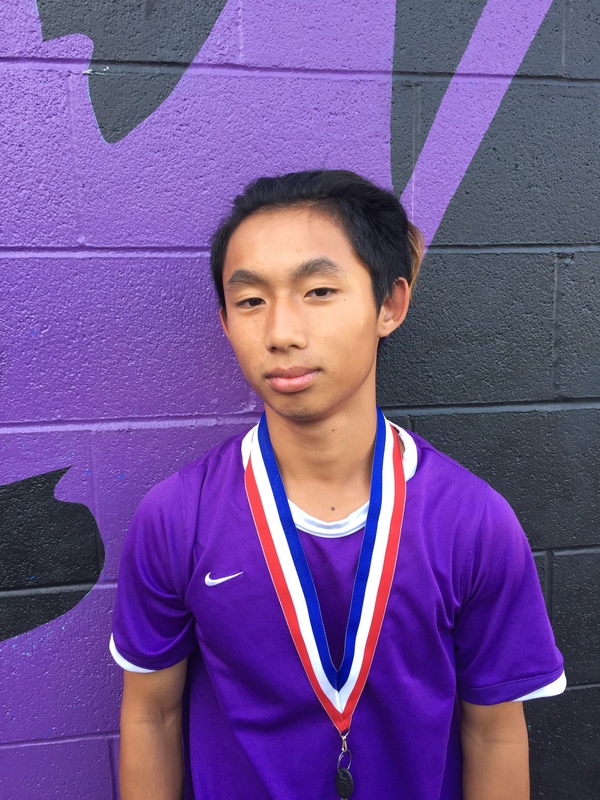 Moving to Oakland for his final two years of high school, he was a perfect fit for Oakland High’s Environmental Science Academy. He is a graduate of the 2015 and 2016 Summer Climate Justice Leadership Academy and worked extensively in the No Coal in Oakland campaign as a fellow. He is a graduate of Oakland High School, and is now attending Howard University. Matthew Shivers is a graduate of Oakland’s Coliseum College Preparatory Academy. With a passion for ecosystems and health, he found a niche at the Rose Foundation. As a fellow, and for his senior project, he focused on CO2 emissions, and began learn more about climate change and the interconnections of the world. 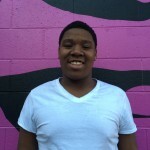 Kyree Survine is a graduate of the 2015 and 2016 Summer Institute. Even though he did not know much about the environment, he found an interest at the Rose foundation. Due to his participation, he learned what environmental and social justice was, and also realized he wants t be a leader. Savon Bardell is a Bay Area native and currenty. A graduate of the 2014 Summer Institute, Savon was initially drawn to New Voices Are Rising because of an interest in public health and the effects of pollution and diesel emissions on Oakland communities. 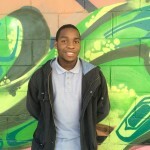 As a New Voices Are Rising Fellow, Savon focused on developing advocacy skills and educating community members around pressing environmental justice issues. 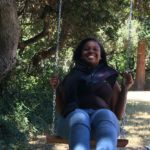 She is eager to challenge herself and learn more about issues affecting Oakland’s low income communities and communities of color. Wendy La is an Oakland native, and is eager to learn about environmental justice and climate change as a New Voices Are Rising Fellow. She has always believed that the environment is not a resource humans should take advantage of. As the eldest of three children and the daughter of Vietnamese immigrants, Wendy looks forward to being the first person in her family to go to college and has aspirations of studying environmental law. 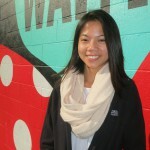 Gia Pham was born in Vietnam and moved to the United States with her father and older sister when she was five years old. As a hiker and rock climber, Gia is very interested in environmental protection, conservation, and law, and believed the New Voices Are Rising program would strengthen her communication skills and explore potential career options after high school. Carlos Rangel is a graduate of Oakland’s Coliseum College Prep Academy in. Born in Irapuato, Guanajuato in Mexico, Carlos moved to the United States in search of opportunity and a better life. 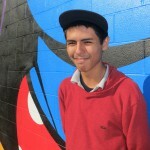 Carlos has previously participated in multiple extracurricular programs such as BUILD, an entrepreneurship program encouraging low-income high school students to attend college, and 67 Sueños, an advocacy program that creates murals showing the unique challenges faced by undocumented students. Carlos is eager to serve as part of the movement to help underserved communities maintain a healthier life and cleaner environment. Allan Vega is a graduate of the Coliseum College Prep Academy in East Oakland. 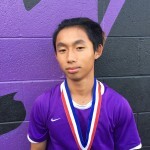 Allan has previous experience as a graphic design and editing intern with KDOL TV, an educational cable network serving Oakland Unified School District and the larger Oakland community. Allan was drawn to New Voices Are Rising out of an interest in community health and the environment. As a New Voices Are Rising Fellow, Allan educated himself and his community on the issues of toxics and air pollution.